This isn’t your regular technology topic that you’re used to reading on our Blog, but this is epic. 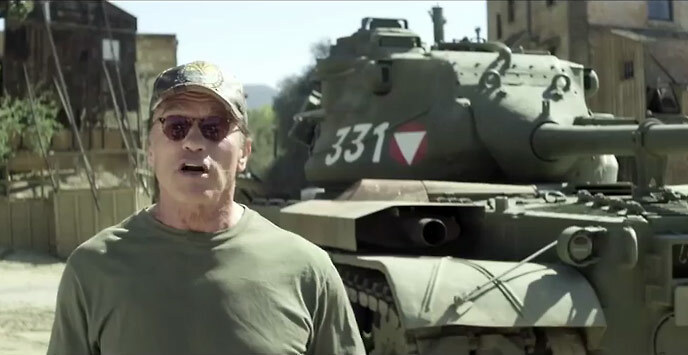 Arnold Schwarzenegger owns a tank and wants you to help him crush stuff with it. How cool is that? The ex-Governor of California runs a charity campaign and everyone who donates a minimum of $10 is eligible to win an unforgettable day with Arnold and his tank. In the promo video, which you have to check out below, the actor invites you to destroy anything you’d like by crushing it. With nearly 2 million views, you’ve probably already seen the clip. If not, enjoy it below. Check out the charity campaign’s website for more information on how to enter.